It's Friday again and new in the digital shoppe this week we have the sweet and versatile Playful Embellishment Kit. Adapted from Jenni's popular sticker sheets, this digital embellishment kit comes with an assortment of coordinating flashcards, patterned buttons, tabs and an alpha too! This kit's basic color scheme makes it easy to coordinate with several of Jenni's collections, including Play Date, Magpie and more. I've used the kit to embellish my page below in a couple of ways, including using one of the flashcards and the alpha to piece together my title. And I've also added a pop of dimension by using a series of the patterned buttons as a horizontal border. I've also tucked one of the cute little tabs behind my photo to record the date. Basics, Vintage Bling, Chevron Stencil Cut File; Anna Aspnes: ArtPlay Palette Inflorescence (button); Creashens: Bare Necessities Cardstocks; Karen Funk: Simple Stitches. 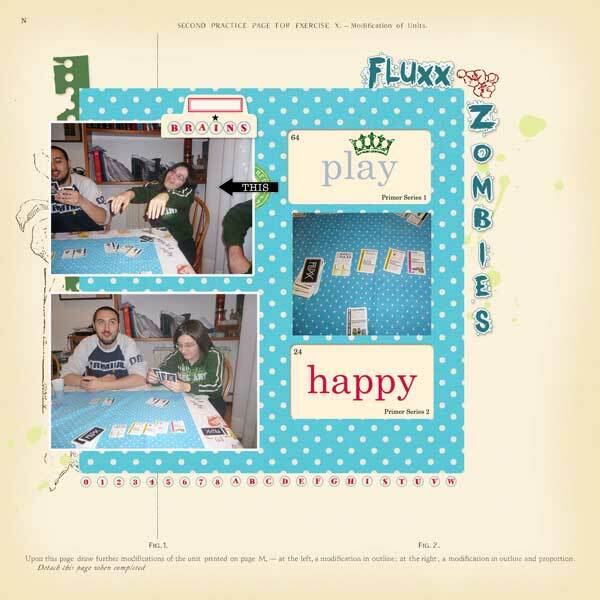 Chiara Castelluccia has used the word flashcards and other bits of the kit on this fun page about what looks to be one of her family's favorite games! 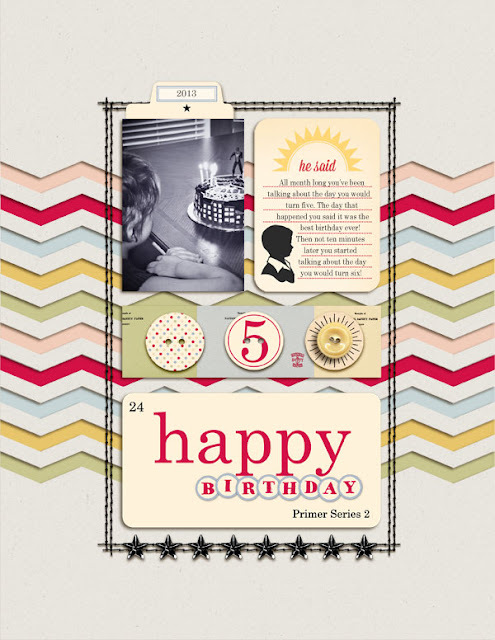 You can grab the Playful Embellishment Kit for 25% off thru Sunday in the Jenni Bowlin Digital Shoppe at JessicaSprague.com! Have a lovely weekend and a very happy Mother's Day!